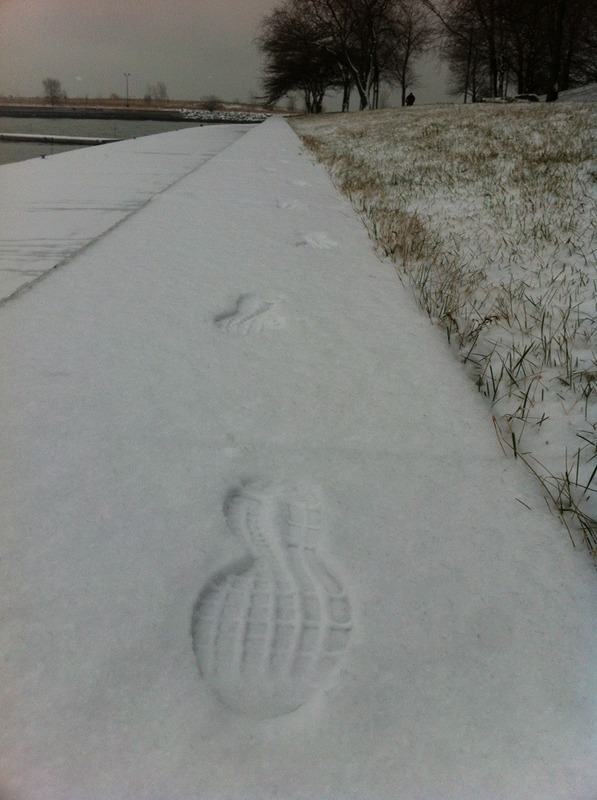 Last Friday morning I was having the time of my life running in the snow. It was quiet and peaceful and all I could hear was my breathing, my shoes hitting the pavement and the wind rustling through the trees. Snow flakes sting when they fly into your eyes, and make you gag when you inhale them. Who would have thought? 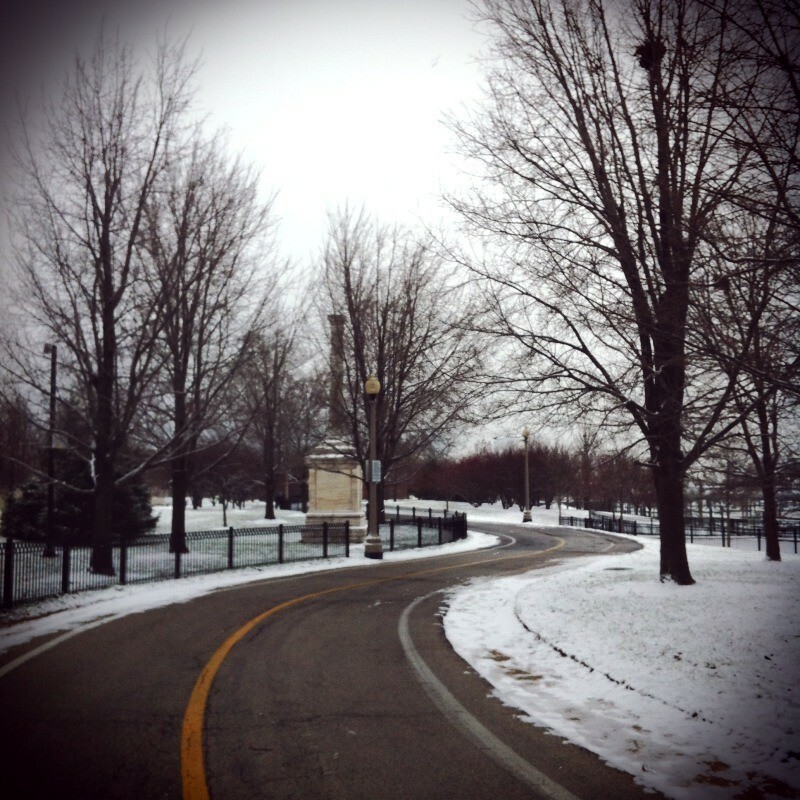 It was a time for reflection and for thinking about what I wanted in 2013. 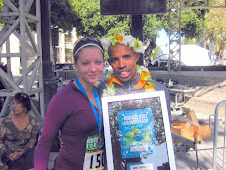 2012 was the year I made significant gains in the 26.2, and also overcame injuries (like always). 50k to celebrate 31 years old! But above all else, while I want to continue to improve for as long as my body allows, I mainly want to continue to enjoy running injury free, PR or not. 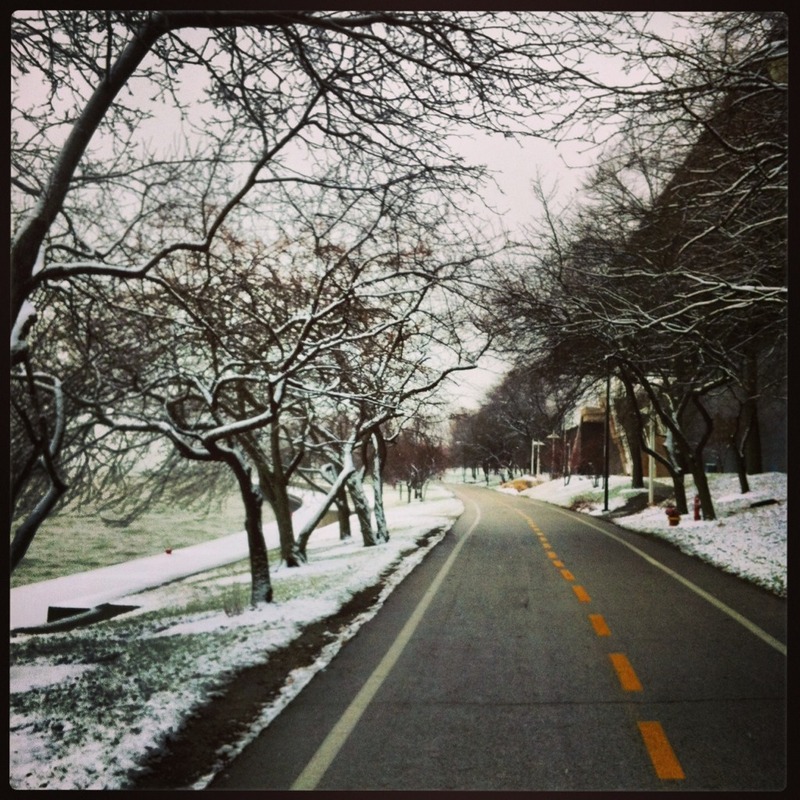 Great pics of the snow and the city! 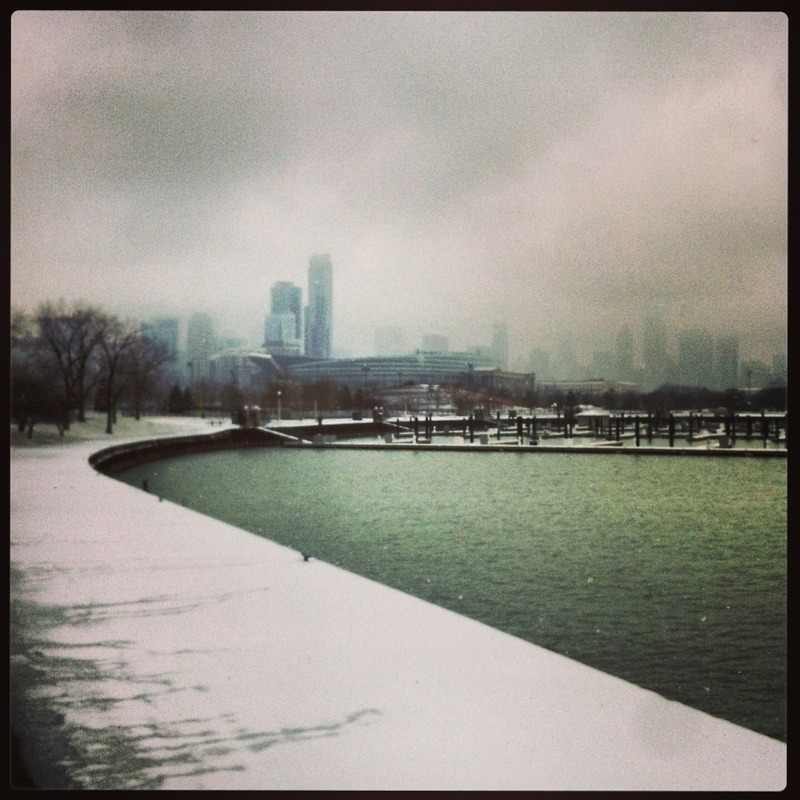 Makes me want to run to the lakefront even though I just got back from running there! Glad to hear you are moving beyond the ankle and ITB issues. Building strength can do wonders to put some injury issues to rest. Good luck on your goals, we should get a "Bloggers Track Club" together so we can all motivate each other to get speedier. Oh man now that you mention a 50K for celebrating 31 years ... I'm turning 31 this year too ... and suddenly a 50K actually sounds like a good idea! Darn it. Heh. Snow, what's that? Haven't seen any here in the burbs yet this winter! A 50k sounds like a blast and you are on track for a pretty sweet year my friend. Think you'll surprise yourself. Yay for being injury free so far in the new year!!! You are such a badass runner, I know you can accomplish all that. And a 50K for 31 is such a cool idea! So glad to hear that your injuries seem to be finally dissipating!!! 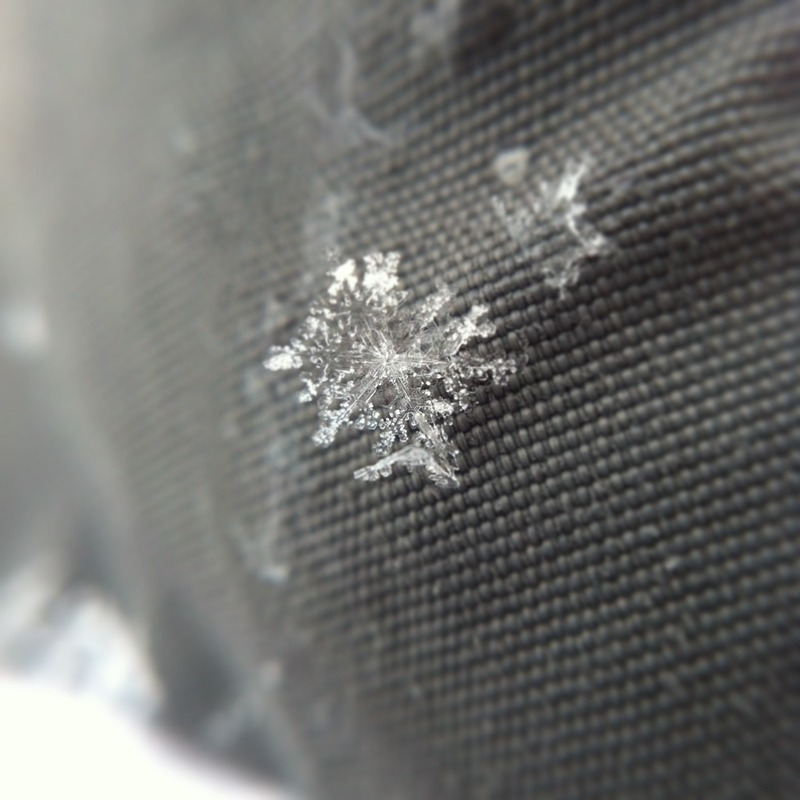 Your pictures are just gorgeous, as usual - especially the close-up of the snowflake. I strongly believe that all of your goals are very much achievable this year and I can't wait to hear the stories behind how you knock them out, one by one. Especially the 50K, which I know you've got!!!!! I completely agree with your last sentence: it is more important to minimize injury and still be running rather than sitting on the sidelines. Good luck with your goals. Chase em down!